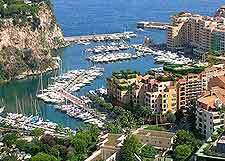 Getting to Monte Carlo is easy, as the city is well connected to neighbouring French cities, such as Nice, where a busy international airport with links across the globe resides. Those with cash to splash may like to arrive by helicopter direct from Nice's airport, rather than travel by taxi or use bus transport. Hiring a sports car is another outlandish way to travel, but be warned that parking can be hard to find in Monte Carlo. Once in the city, it is straightforward to travel between sights using taxis as your preferred mode of transport. 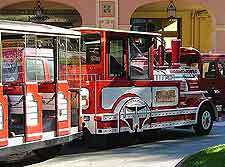 There is also a useful bus network, which runs to all the major tourist attractions, along with a train line connecting Monaco with France and Italy, stopping at a few destinations within the principality along the way. Nice Côte-d'Azur International Airport in France is the main gateway for visitors to Monte Carlo. This busy airport is equipped with modern facilities and serves connections with major European capitals as well as Los Angeles. From the airport, passengers can travel into central Monte Carlo by Rapide Cote d'Azur bus directly from the terminal, or by using taxi transport. Taxis are more expensive than the bus, but do offer greater convenience. Of course, if money is no object then you can make the final leg of your journey from Nice's airport to Monte Carlo by helicopter. It is possible to rent a car at France's Nice Côte-d'Azur International Airport or in Monte Carlo itself, but there is little need for a car once you arrive. The principality's road network is first-class and visitors will have few problems following the well-signed roads as they travel, although parking often presents a problem. The A8 is the main road into Monaco from France and Italy, yet there are a number of more scenic coastal routes available for those with time on their hands. Speciality car rentals are a unique aspect of vehicle hire in Monte Carlo, with many visitors splashing out to hire a sports car or a convertible for the length of their stay, ensuring they arrive at the casino in style. Book your Nice Car Rental here. 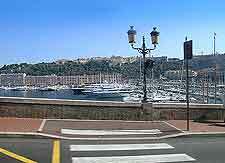 Book your Monaco Car Rental here. Monte Carlo does not have a central bus station. 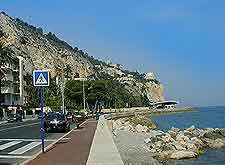 However, Rapide Cote d'Azur bus transport from Nice does stop here roughly every hour. This service is convenient for visitors on a budget, although isn't popular with the largely affluent set of visitors that frequent this stylish city. Within the city, the Compagnie des Autobus Monaco runs five bus lines daily from 06:00 to 21:00. Train transport connects Monte Carlo with other cities along the French Riviera, including Cannes and Nice, as well as Ventimiglia in Italy. TGV trains are the fastest travel option, although a choice of further trains run up to four times an hour. 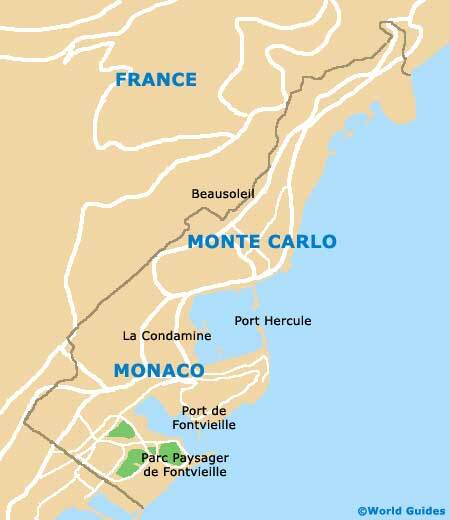 There are a handful of train stations within the principality if you want to explore beyond Monte Carlo proper. Taxis are available in the city and operate according to meters. They can be found at the city's taxi stands (Avenue de Monte Carlo and the railway station) or outside luxury hotels. Local taxis can also be hailed on the street or ordered by telephone.